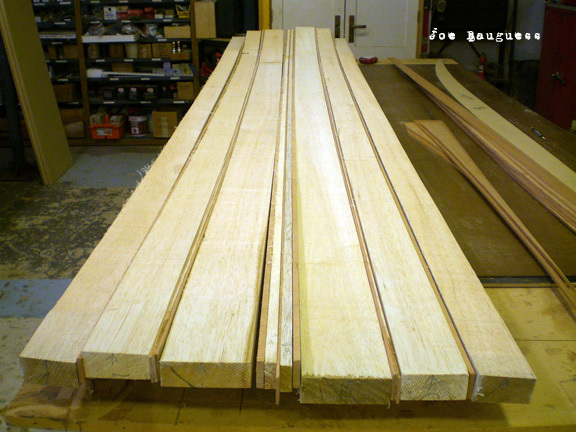 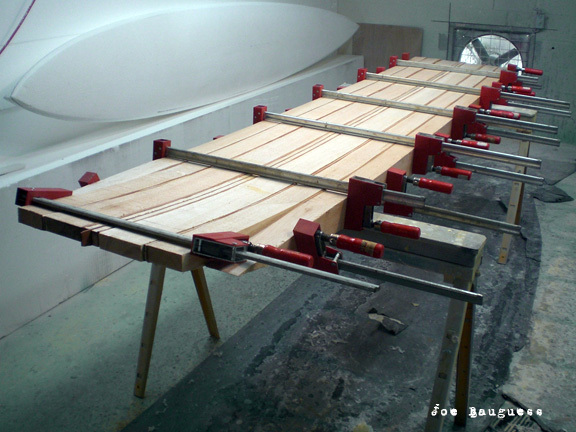 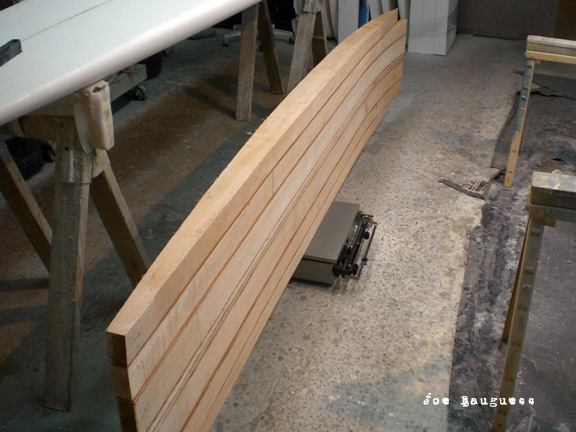 Joe also makes, from scratch, Balsa wood and redwood big wave guns. 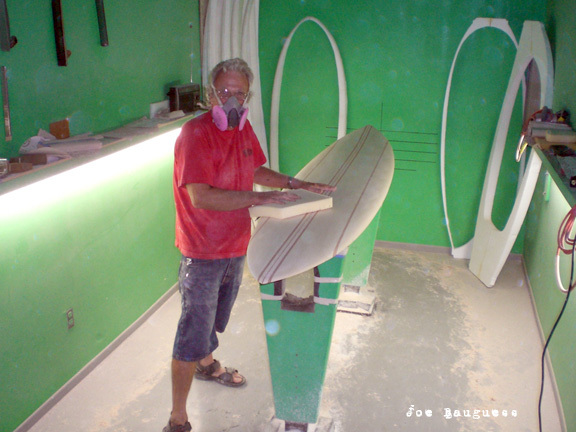 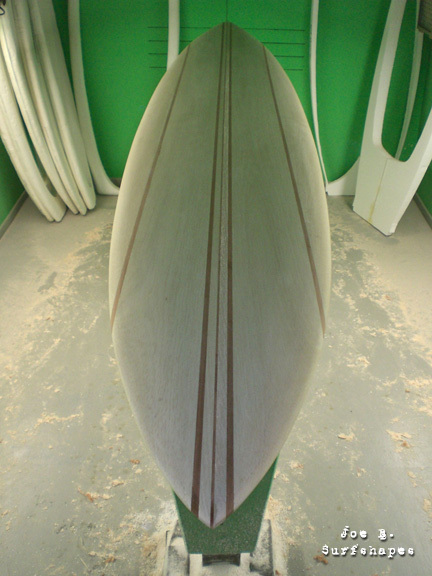 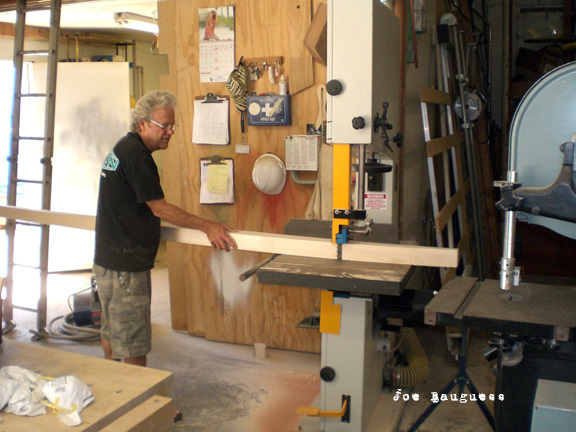 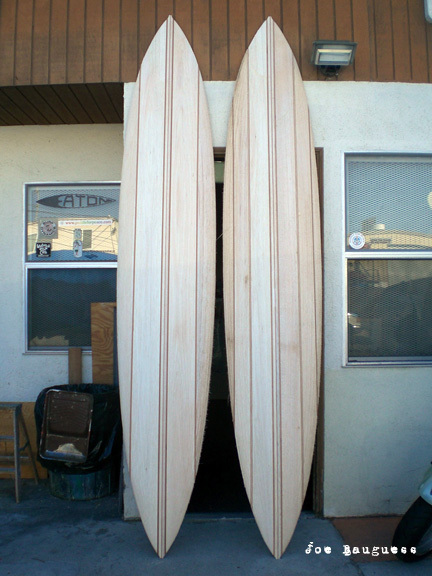 A shapers shaper, Joe’s been shaping for almost 50 years now. 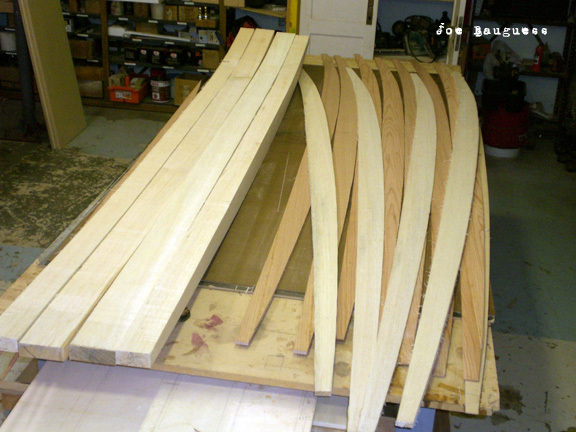 The gallery below will take you from balsa wood planks and redwood fence planks to a full on hand shaped Balsa and Redwood Gun. 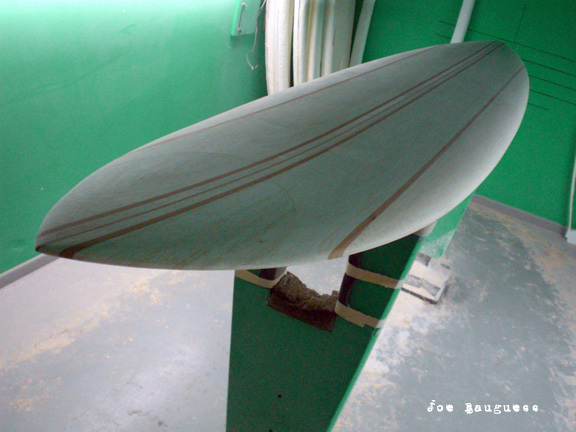 This is pretty much the finished shape, minus the glass and fin, the rest of the gallery is the start to finish of the balsa and redwood gun. 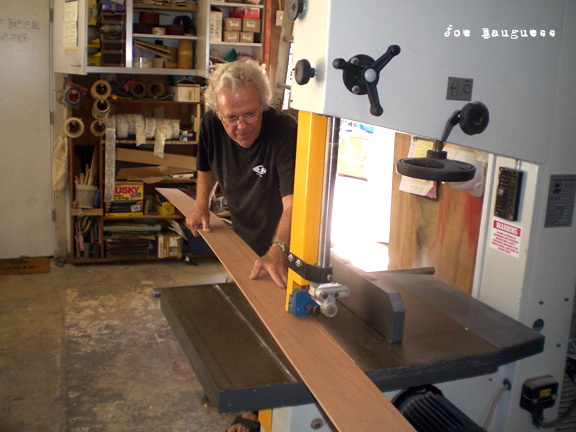 Joe hand made this gun from start to finish, starting with the laminating of the planks of balsa and redwood, to cutting the outline, planing, sanding and then finish sanding. 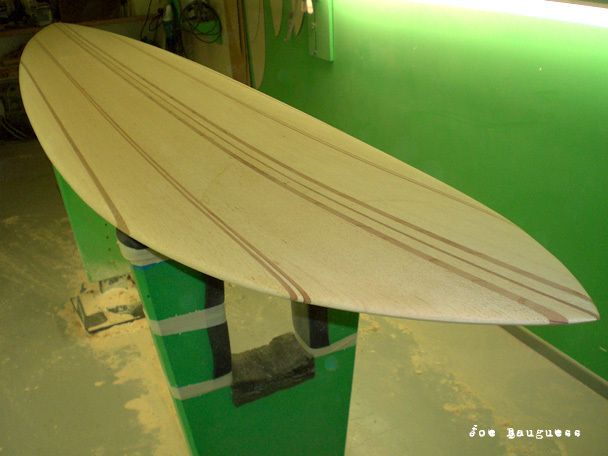 A shapers shaper, a man from the old school. 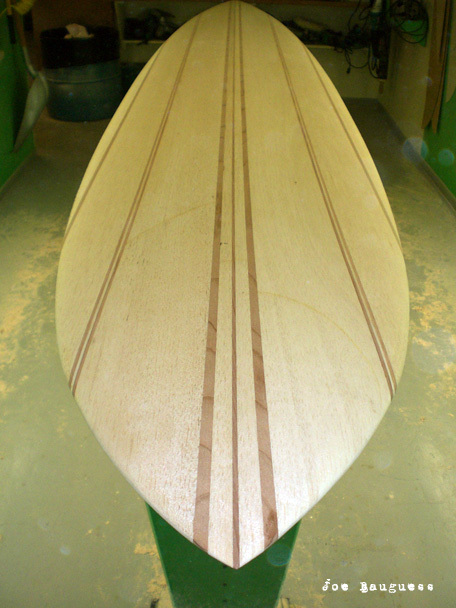 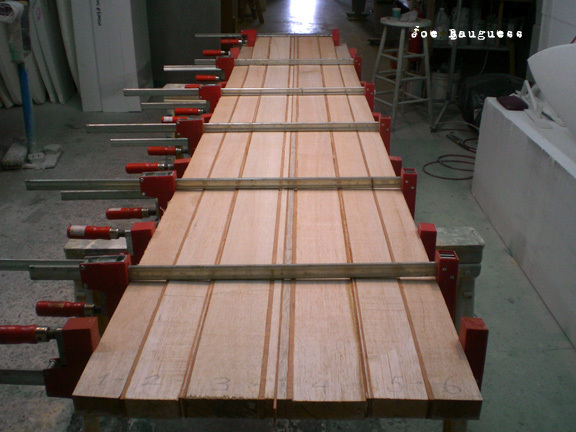 WHATS THE LONGEST BOARD YOU MADE SO FAR?7 HOW MUCH?